Conor McGregor Knocked Out in Sparring? McGregor Knocked Out in Sparring? Briggs Seekins July 17, 2017 Balltribe TV, Headlines 1 Comment on McGregor Knocked Out in Sparring? 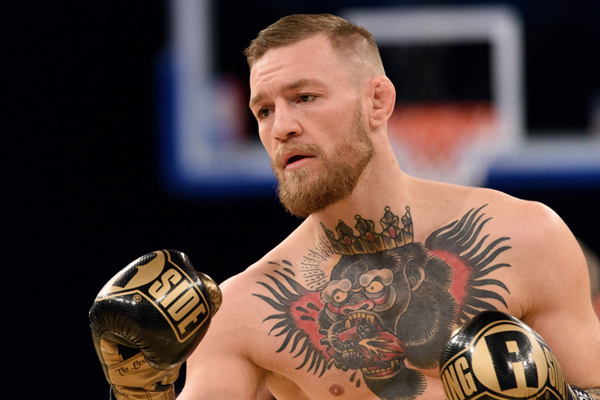 On Sunday afternoon and evening, the internet lit up with rumors that Conor McGregor had been knocked out in sparring. According to welterweight contender Jessie Vargas, in an interview with Villainfy Media, McGregor was knocked out by Brandon Rios. However, ESNEWS quickly reached out to Rios, who denied the story via telephone call. It is not unusual for rumors like this to circulate in the build up to a fight. As Vargas notes, the boxing world is relatively small and word gets out. However, in a fight that is getting hyped to the degree that McGregor’s upcoming showdown with Floyd Mayweather is, exaggeration and fabrication may prove to be the order of the day.